A lot has happened this year on the Waggoner Ranch. Last February, the Waggoner sold to Stan Kroenke after being listed for $725 million. With the sale, 165+ years of family ownership came to an end. The largest ranch under one fence in the United States remains a contiguous working ranch, although things have changed throughout the year. After the sale of the ranch, the bunkhouse and cook shack closed down. 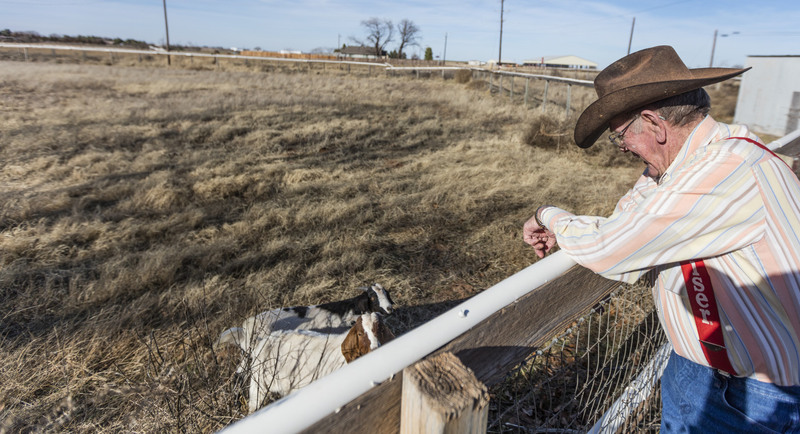 About one third of the Waggoner cowboys have retired or been let go. Then the Waggoner made news when Kroenke forced Lake Diversion residents to leave their homes. The cowboys of the Waggoner Ranch are resilient men, adept at coping with life’s many unpredictable changes. 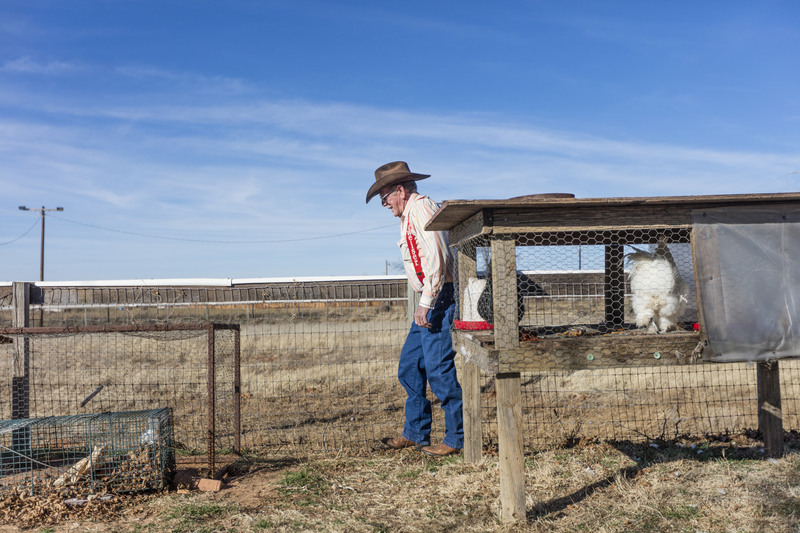 Bobby Daniel has retired to Seymour, Texas, where he raises goats. Some cowboys have moved on to other ranches. And many show up day after day to work the largest ranch under one fence in the United States as they have for decades. A year after the sale, we’re proud to be telling the story of this historic ranch and the cowboys who have called it home. Cowboys of the Waggoner Ranch was photographed the year before the ranch sold, preserving a way of life for future generations. 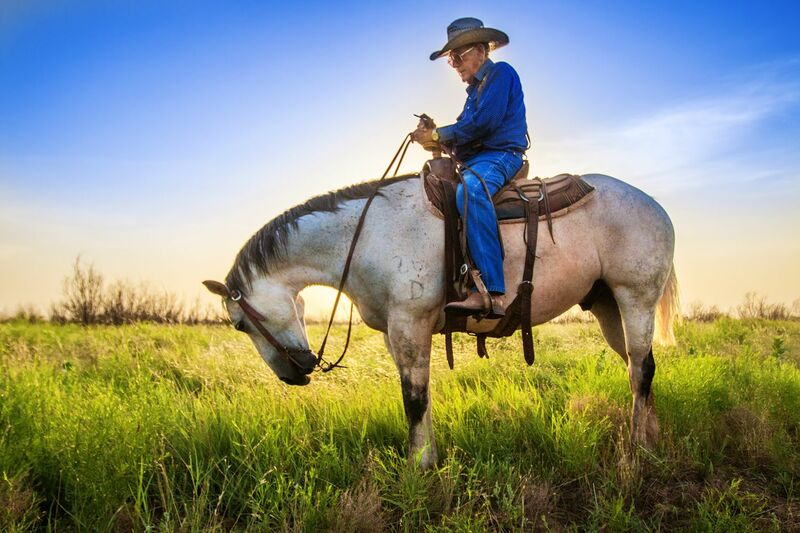 We caught up with recently retired Waggoner cowboy Bobby Daniel. 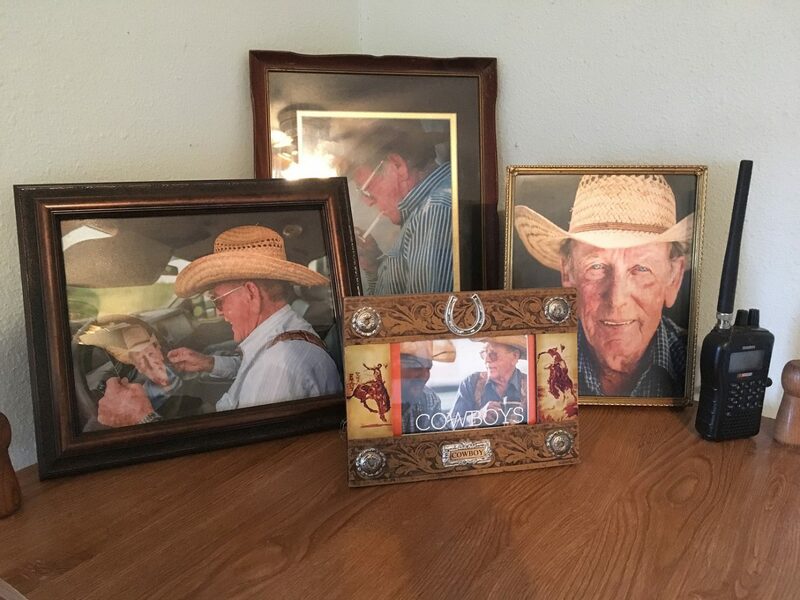 He lived and cowboyed on the ranch from 1965 until his retirement in April 2016. 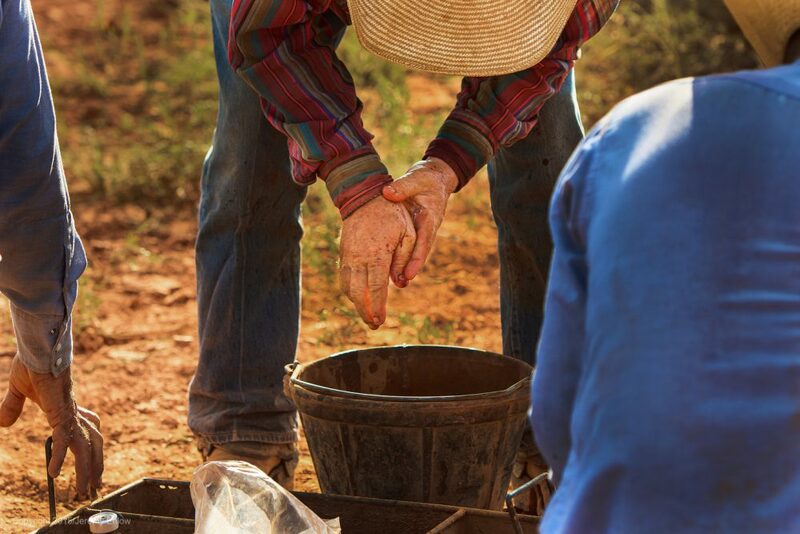 For the last 51 years, Mr. Daniel and his wife lived in a house on the sprawling Waggoner Ranch. These days they reside in the small town of Seymour, Texas, not far from the southern border of the Waggoner. Mr. Daniel is adjusting to retirement. “I get to get up when I want to and do what I want during the day,” Daniel said smiling, looking at his newly acquired goats. Mr. Daniel’s five goats and four chickens keep him entertained. “I’d like to get a few more goats but the prices are high right now,” he said. 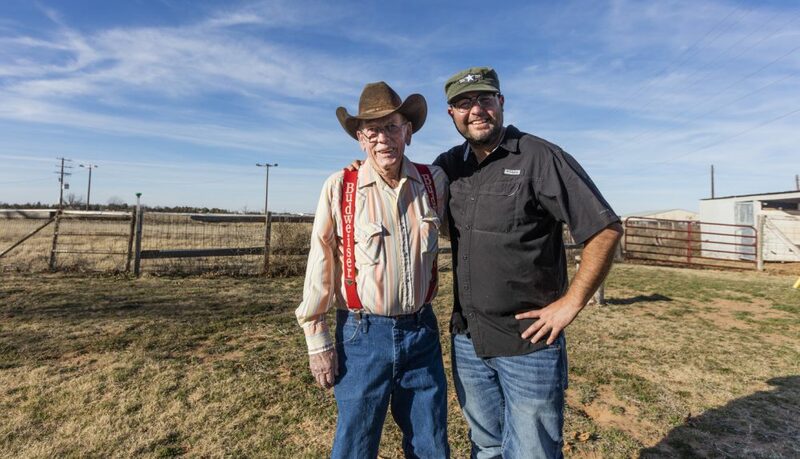 Bobby Daniel was the last Daniel family member to work on the Waggoner Ranch. See more of Jeremy’s visit with Bobby Daniel in the gallery below. It can be hard to visualize what a 510,527 acre ranch looks like. On the ground, the Waggoner Ranch looks endless, stretching as far as the eye can see in any direction. 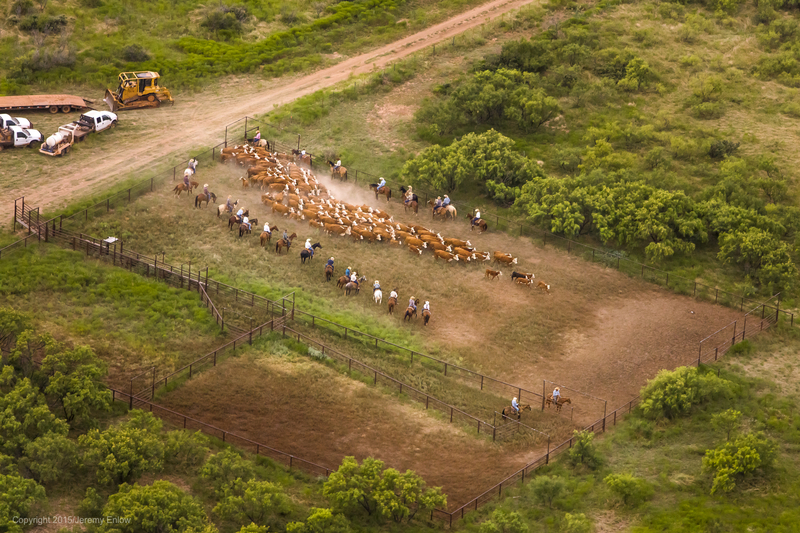 To get a better look at the scope of the ranch, Jeremy Enlow photographed the ranch from a Cessna airplane. 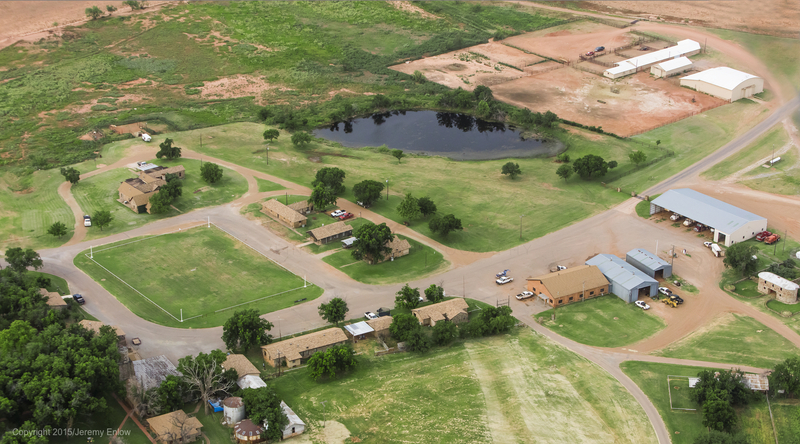 You can see his aerial photographs of the Waggoner Ranch below. 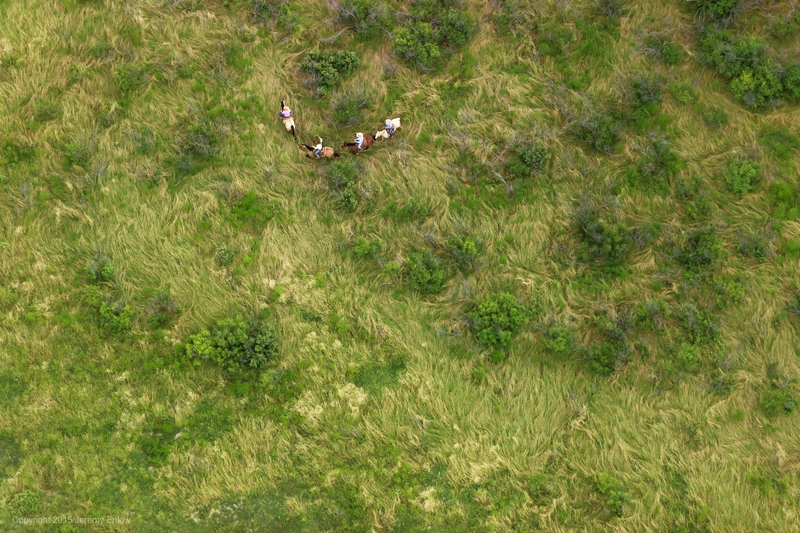 Wanting to capture just the right moments on the ranch, Jeremy didn’t use a drone for any of the aerial photographs. Instead, he took all of the images himself while flying overhead. 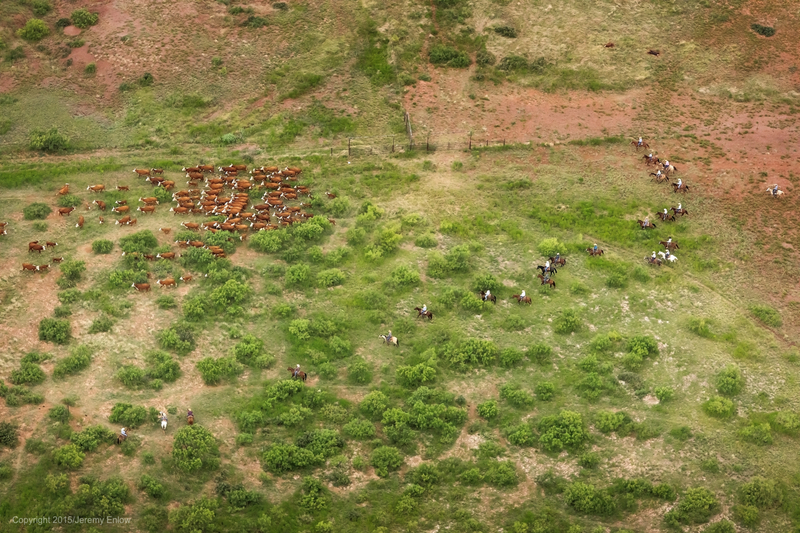 These aerial shots can be seen in Jeremy’s book Cowboys of the Waggoner Ranch. Get yours today and enjoy free shipping in the United States! Jeremy’s photographs of the Waggoner Ranch document many iconic aspects of the ranch. Taken a year before the ranch sold to Stan Kroenke, they capture the ranch right before its historic change of hands, preserving a way of life for future generations. Some things have changed on the Waggoner since then, including the closing of the Waggoner Ranch cook shack. As time passes, this photographic history of the ranch becomes increasingly precious. Debbie’s cooking philosophy was simple: “Lots of calories,” she laughs. None of it goes to waste. 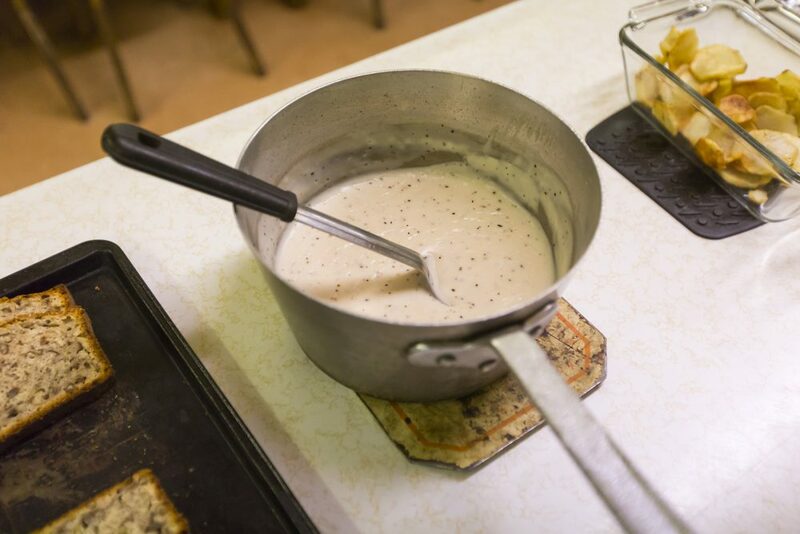 The cowboys filled their plates from the cafeteria-style line up of from-scratch comfort food. 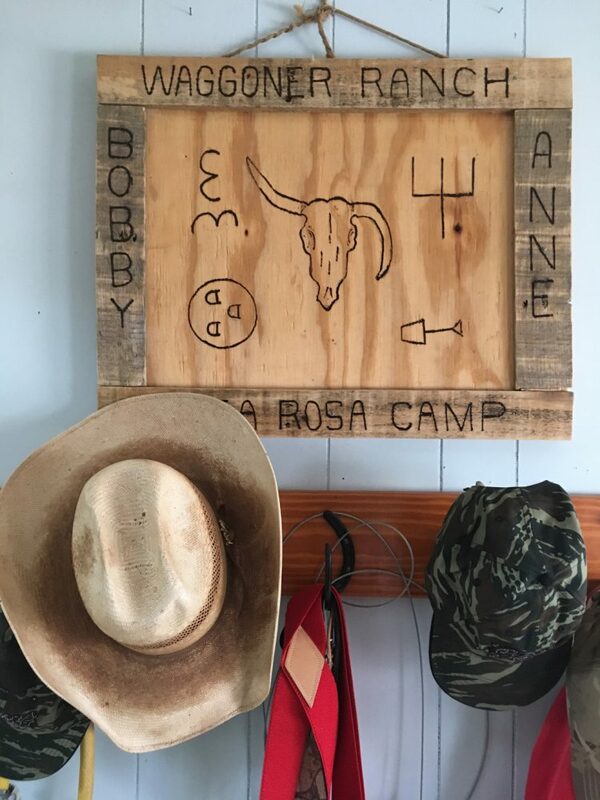 When the cook shack was open, Debbie made breakfast and lunch six days a week for the twenty-six cowboys. You can see more photos of the Waggoner Ranch cook shack here, and what it looked like in the 1980s here. It takes a lot of coffee to be a cowboy. Debbie’s cooking was always mouthwateringly delicious and filling. 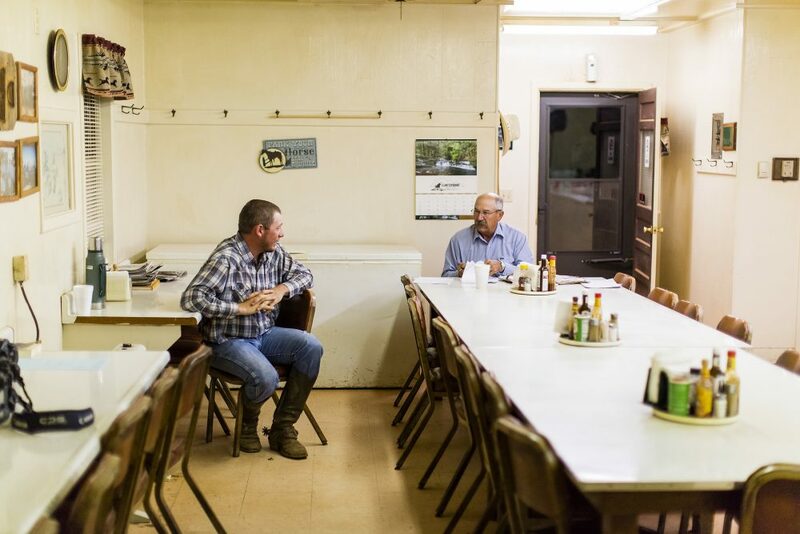 Weldon Hawley, right, is always the last to eat and the first to head to work. Working on the largest ranch under one fence in the United States is a strenuous job. 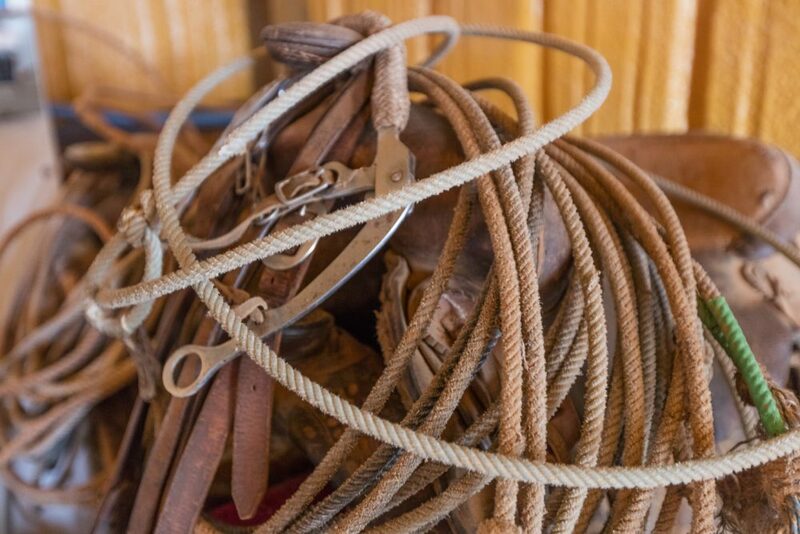 To get it done, the cowboys rely on well made ropes, saddles, and boots. The cost of outfitting a cowboy adds up quickly. “A cowboy needs a saddle, boots, hat, leggings, spurs to start with,” says Bobby Daniel. “Everything’s really high now. Saddles are really high.” Bobby rode for the Waggoner for 51 years before retiring in 2016. 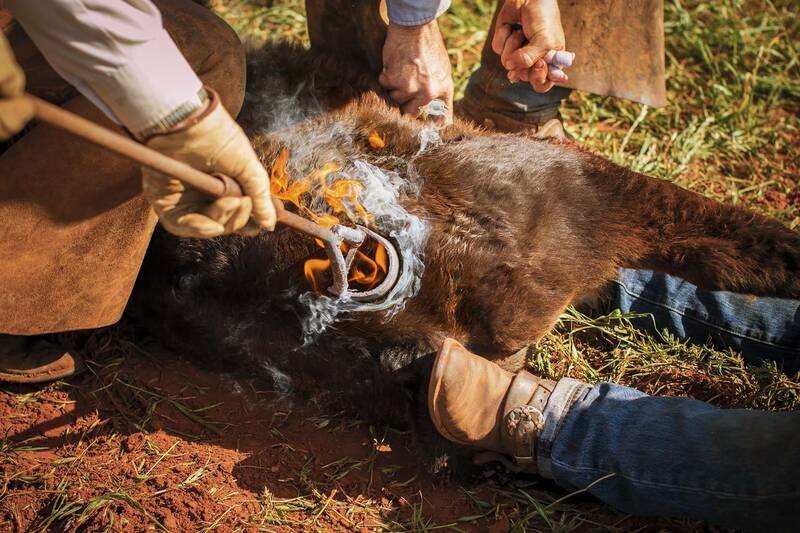 The cowboys choose their boots with great care. “We wear handmade boots,” says Ricky Rios. “Handmade boots last three or four years. 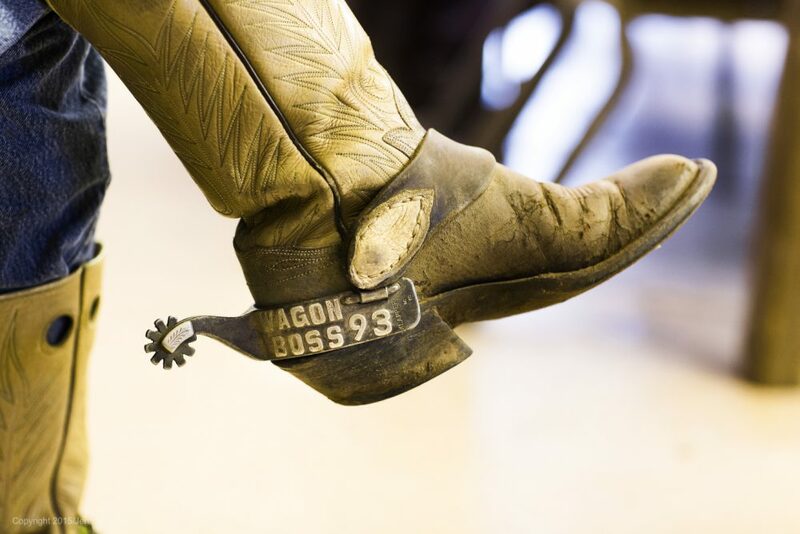 Store-bought only last about a year.” Master Bootmaker Mike Vaughn crafted some of the boots pictured in Cowboys of the Waggoner Ranch. 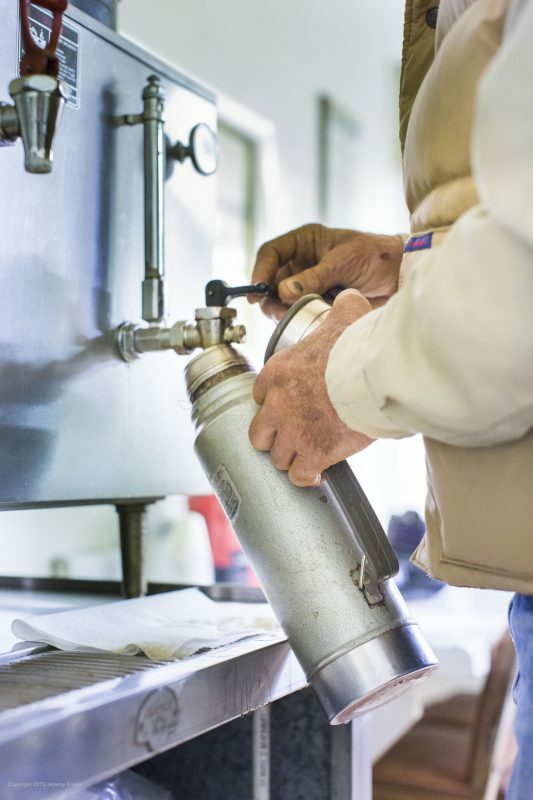 You can read more about Mike here in our Meet the Makers blog series. These boots aren’t just well made and good looking. 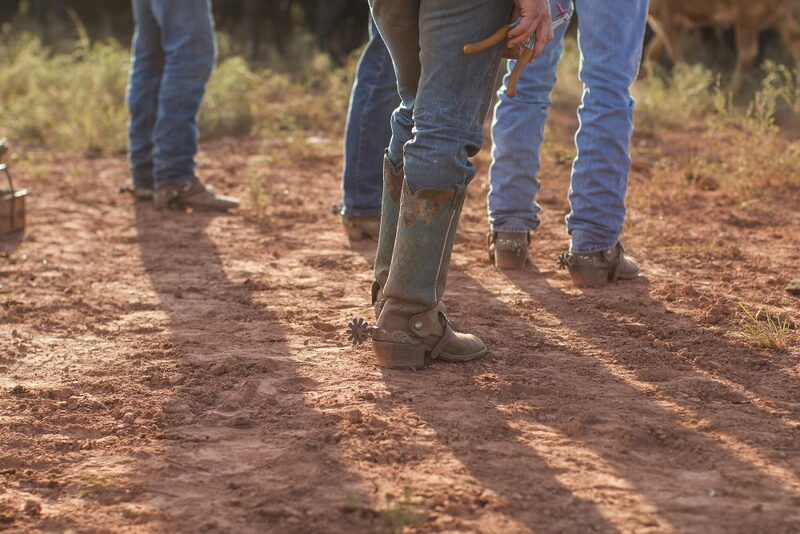 They’re designed to stand up to the hard work and Texas dirt the cowboys see every day. 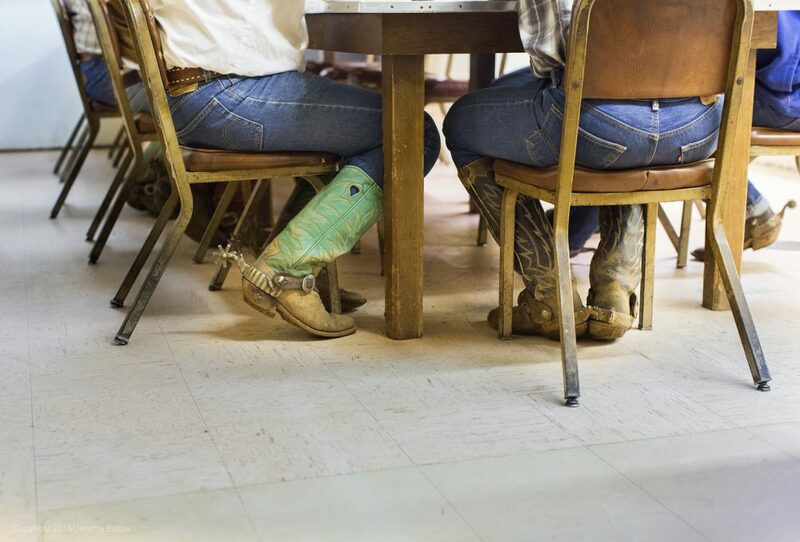 Day after day, these boots walk one of the largest ranches in the United States. 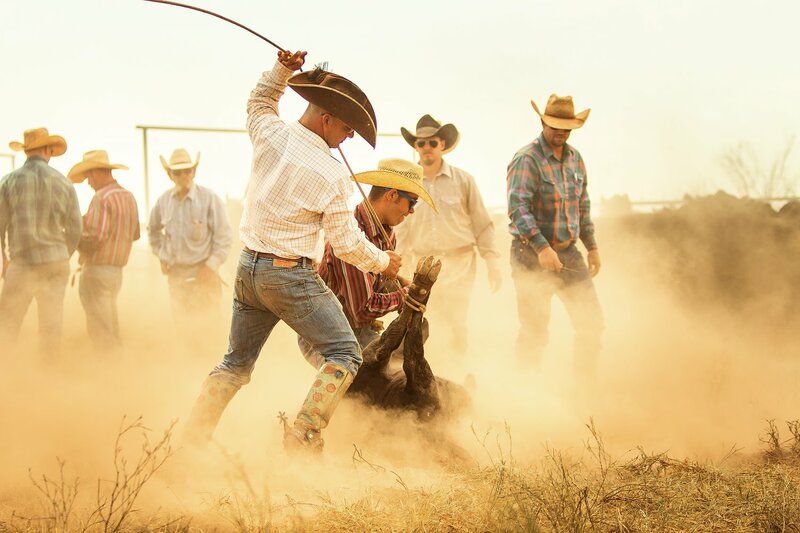 Buy Cowboys of the Waggoner Ranch today to see more Waggoner cowboy life up close. 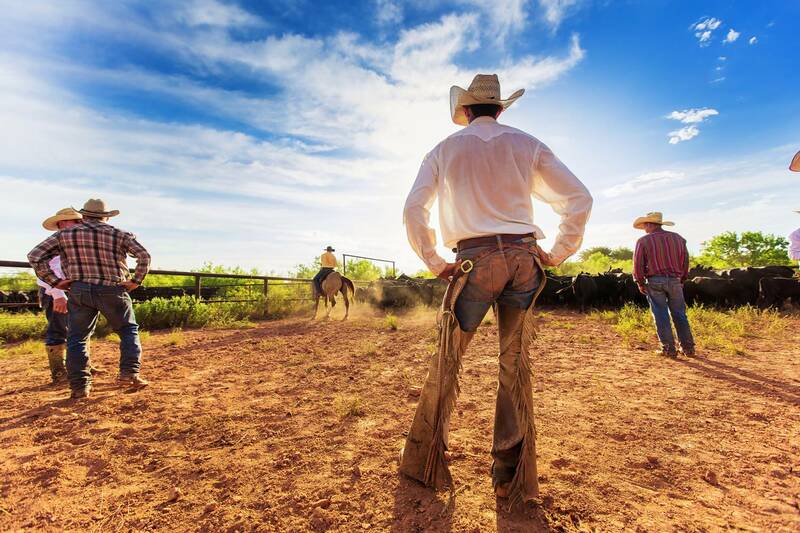 Cowboying this way is a hard, demanding way of life that requires a lot of grit. 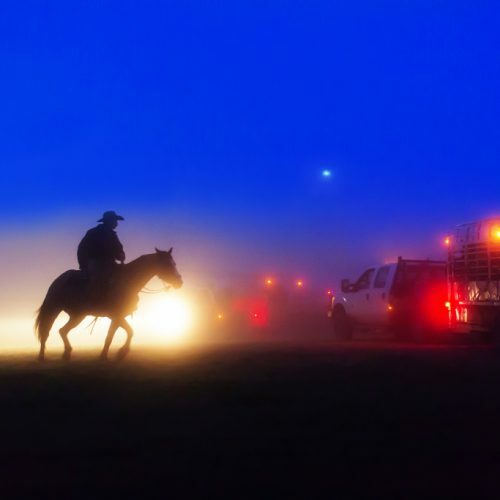 As predictable as their work is, any number of things – the weather, a startled horse, a debilitating accident, disease taking hold of the herd – can change everything in a moment. Cowboys are accustomed to uncertainty. They face each new day as it comes, making the best of it. These are the cowboys of the Waggoner Ranch. 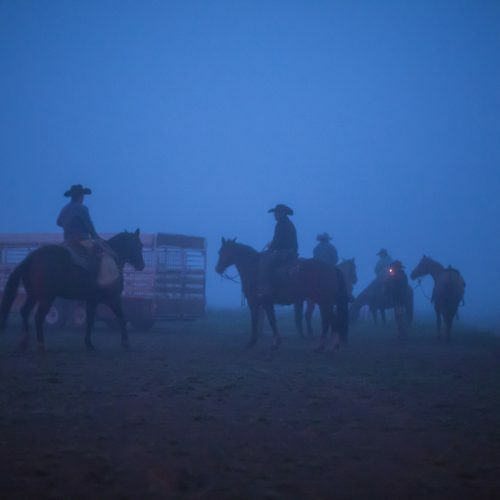 In Cowboys of the Waggoner Ranch, one cowgirl stands out. Cassidy “Butch” Chambliss lends a hand on the ranch during the summer. Well acquainted with the work at hand, she helps show the younger kids the ropes, too. 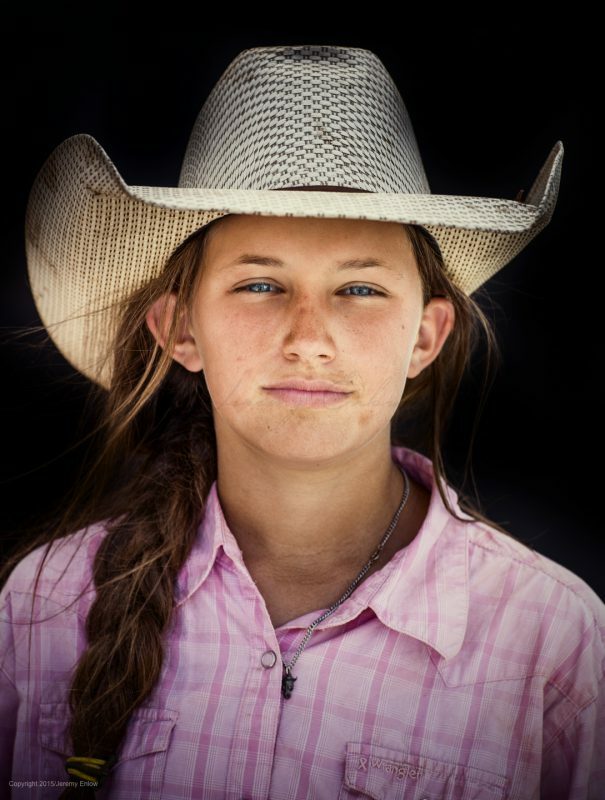 The initiative modeled by the Waggoner cowboys is demonstrated in the way she works. Nobody has to tell her to hurry up or pay attention, the Waggoner work ethic having been instilled the previous summer. Not intimidated by the heat or the dust or the cattle, Butch hasn’t decided whether she wants to be a veterinarian or a cowgirl. Eleven-year-old Cassidy works with the cowboys during summer vacation. “Everybody calls me Butch,” she says. “I’ve been riding since I was two years old.” When Jeremy visited the ranch, she was happy to be riding her favorite horse, Romeo. “He likes to go fast!” she says with a grin. You can see Cassidy riding Romeo in photos from Jeremy’s archives here. 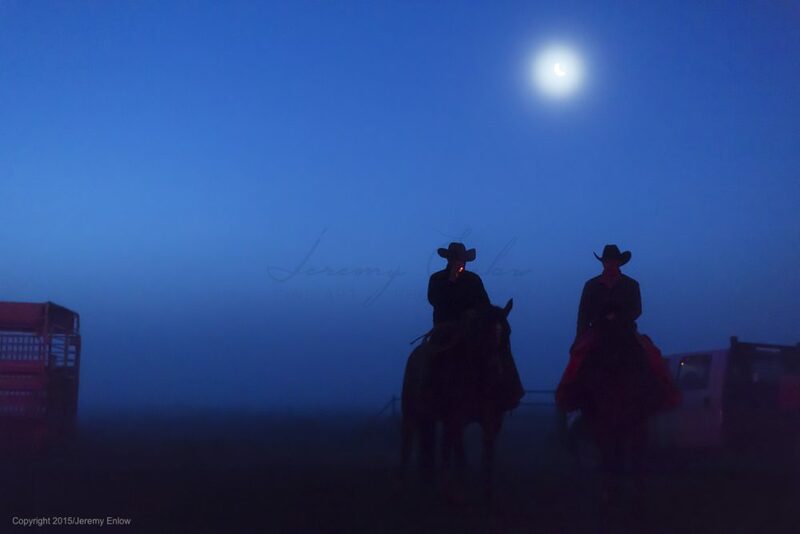 Arriving at the pasture where they’ll work, the cowboys unload their horses and mount up in the faint glow of the moon and their vehicles’ lights. “To do this, you just have to love it,” says Weldon Hawley. And the Waggoner cowboys do love their work; you can see it in every face as they ride out into the pasture. They are a living image of the American West. And this is an opportunity to see who they really are. These are the cowboys of the Waggoner Ranch. Whether you’re reading from the city or the ranch, we hope you have a very merry Christmas. Don’t have a copy of Cowboys of the Waggoner Ranch yet? There’s still time to get yours in time for Christmas. Just choose priority shipping by December 21st and it will get to you in time for the holiday! Order by Dec. 21 for Christmas delivery! Help Santa out, Texas style. 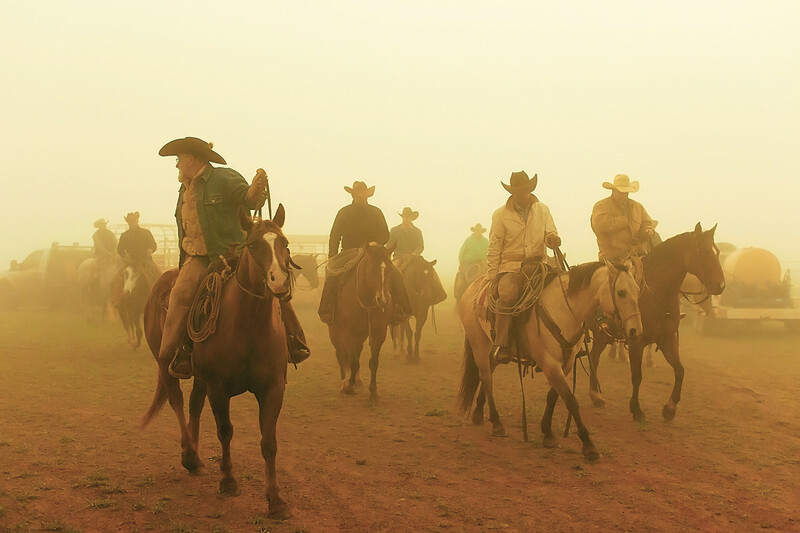 Cowboys of the Waggoner Ranch is made in Texas, by Texans, about Texans. With our new Priority shipping option, there’s plenty of time to order the book for everyone on your Christmas list. 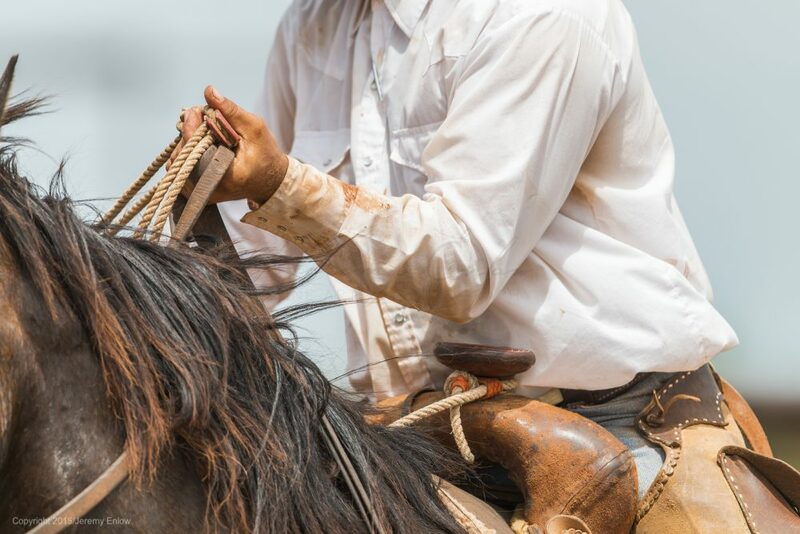 “The book shows we’re still surviving, doing things like they did 100 years ago, the cowboy way.” – Waggoner Ranch Manager Weldon Hawley quoted in Western Horseman, (March 2016). Mr. Hawley has worked at the Waggoner since 1976. 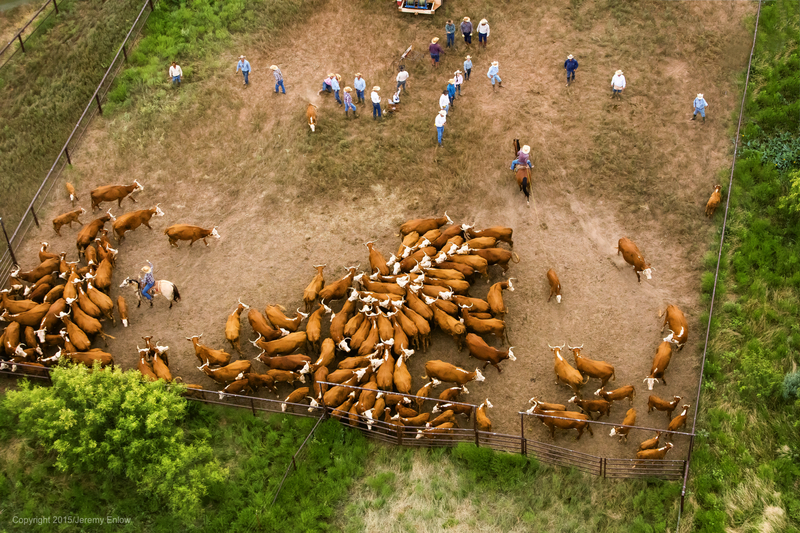 In 1849, Dan Waggoner began the ranch with 6 horses, 242 longhorns, and a bit of land in Wise County. 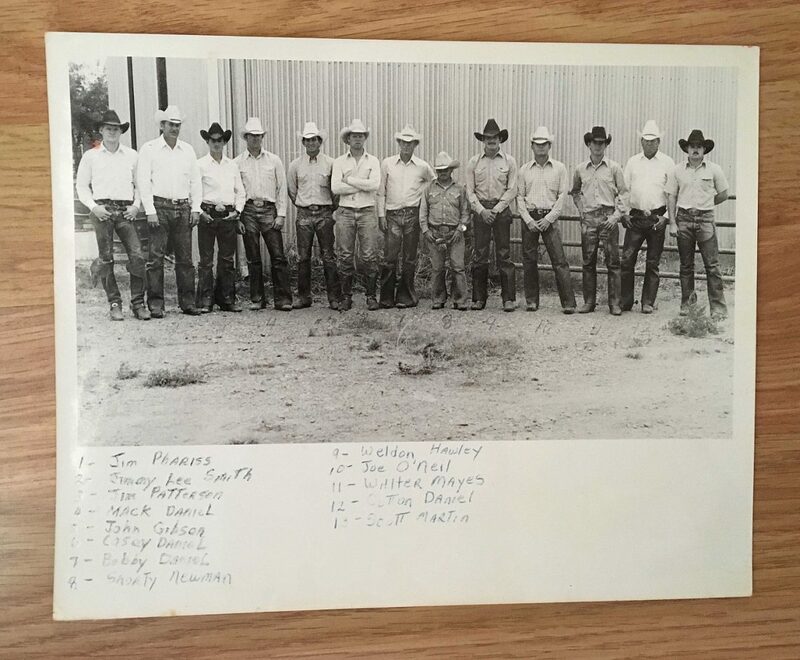 Over time, the ranch grew and moved out towards Wichita Falls. 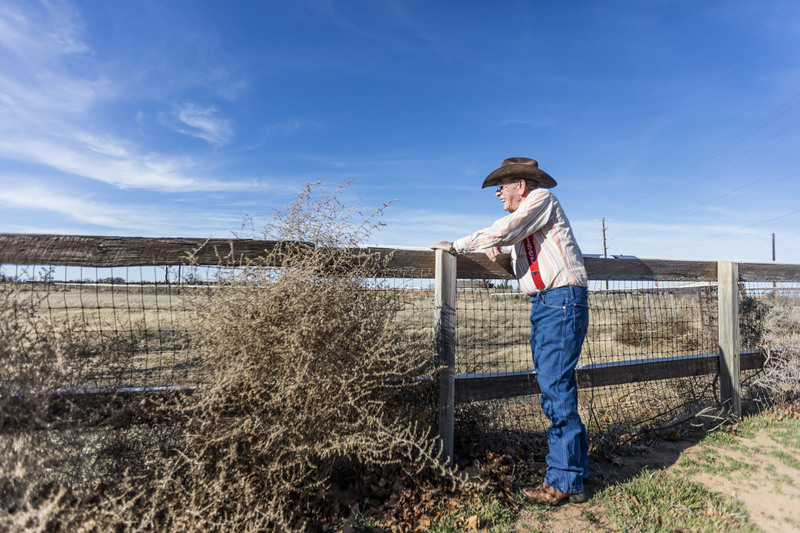 It is now the largest ranch under one fence in the United States, spanning 6 counties. 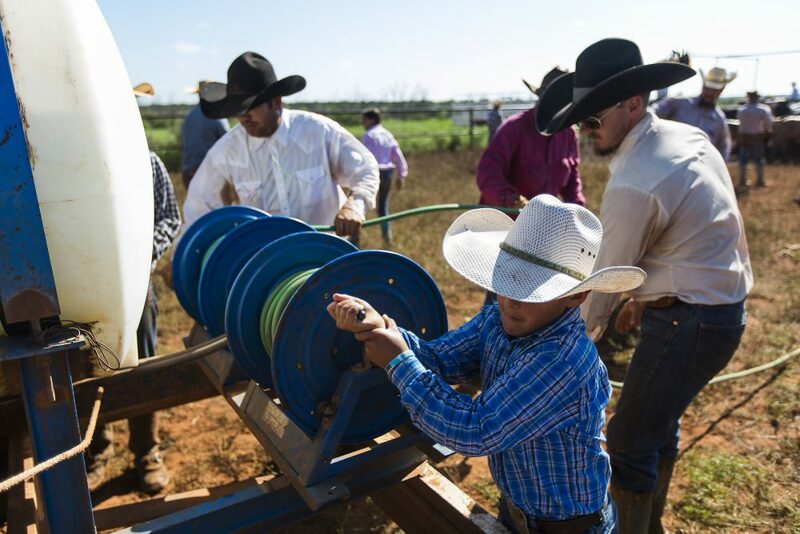 Jeremy Enlow visited the Waggoner in 2015 to document the 26 cowboys working the ranch. The result is his inaugural book, Cowboys of the Waggoner Ranch. 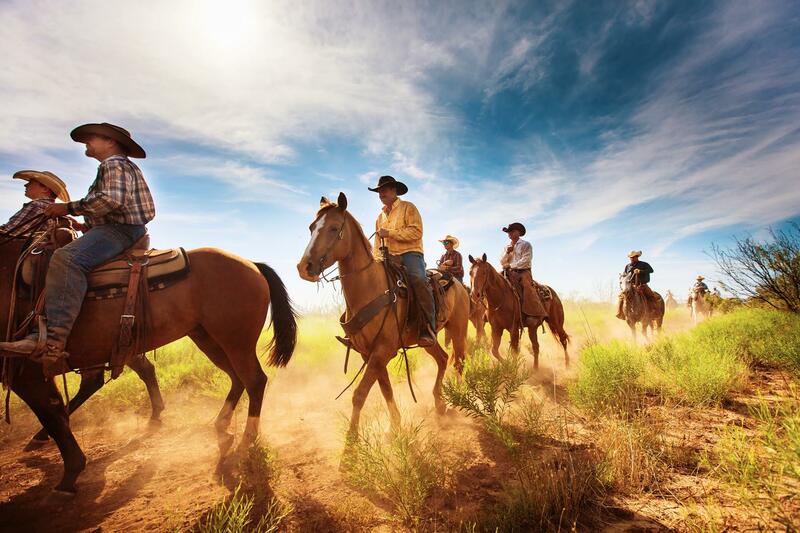 Printed in North Texas, we’re proud that Cowboys of the Waggoner Ranch is a GO TEXAN product. This Christmas, GO TEXAN and give everyone on your list a gift made in Texas, by Texans, about Texans. The largest ranch under one fence in the United States, the Waggoner Ranch is nearly as old as Texas. 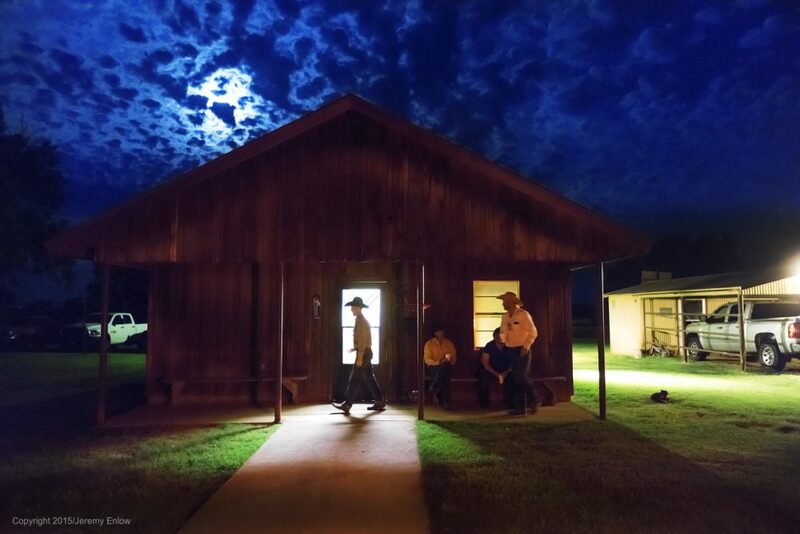 Texas native Jeremy Enlow spent five months photographing the 26 working cowboys who live there. The result is the award-winning Cowboys of the Waggoner Ranch, a 140 page full color coffee table book printed right here in North Texas. Jeremy along with John Davidson (editor), Julie Enlow (producer), Jan Batts (copy), Yvette Bowling (design), Julie Hatch (Public Relations/Media) and Hunter Mills (Public Relations/Social Media) are all native Texans. 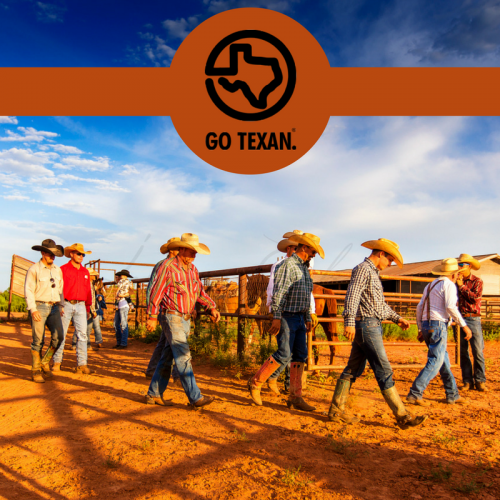 Cowboys of the Waggoner Ranch is proud to be a GO TEXAN product. 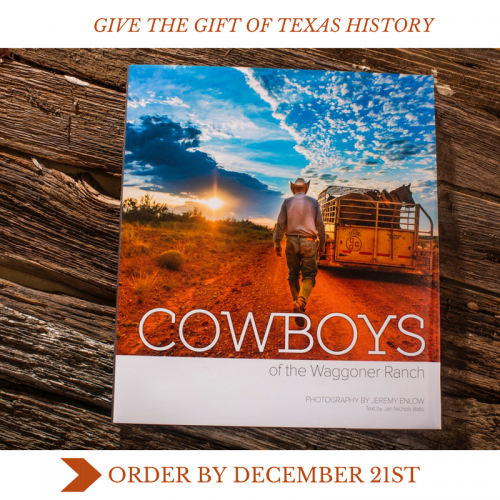 A portion of the proceeds from the sale of this book benefits The Waggoner Ranch Cowboys Fund, giving back to some of Texas’ greatest living legends. Buy the book now and get FREE shipping in the United States!